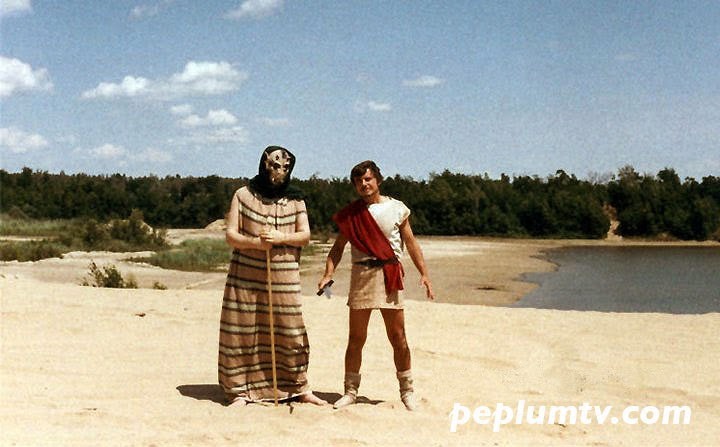 In the 1980s I helped a University teacher with the production of a short film based on Oedipus. I'm the fellow on the right in the photo above (and the last photo below). I'm making that face for the 'role'. I don't even remember their names and sadly I've never seen the finished product. But I have these photos. I also played a cheesy monster, as seen in the photo below. That's the university teacher, as Oedipus, next to me. He loved dressing up in PEPLUM costumes. He was Italian. I pretty much look the same today, after all these years. 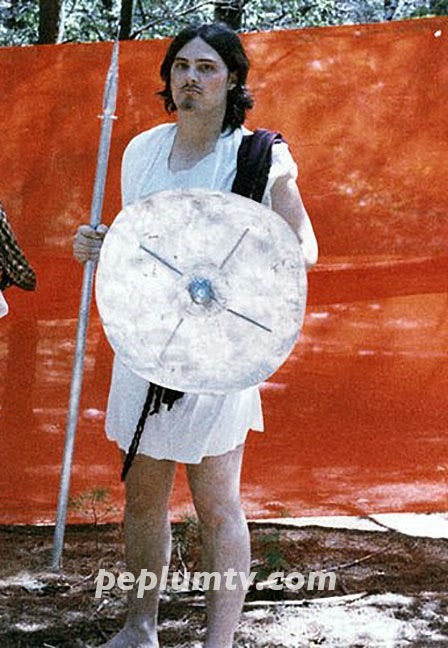 You wield a mean shield! After so long, hello! Were you playing the role of a guard, possibly? What a treat! Does this epic still exist anywhere? Was that monster a stand-in for the sphinx?